While the Terminator may have not had success at the box office lately, in the early 90's it was a huge property as the sequel was being prepped and the original film was finding a following. Dark Horse Comics picked up the Terminator rights and have published several books over the years with this mini-series being the first of those. The stories took place after events of the original films or in many different eras of Terminator lore and showed the dark and violent future caused by Judgement Day. 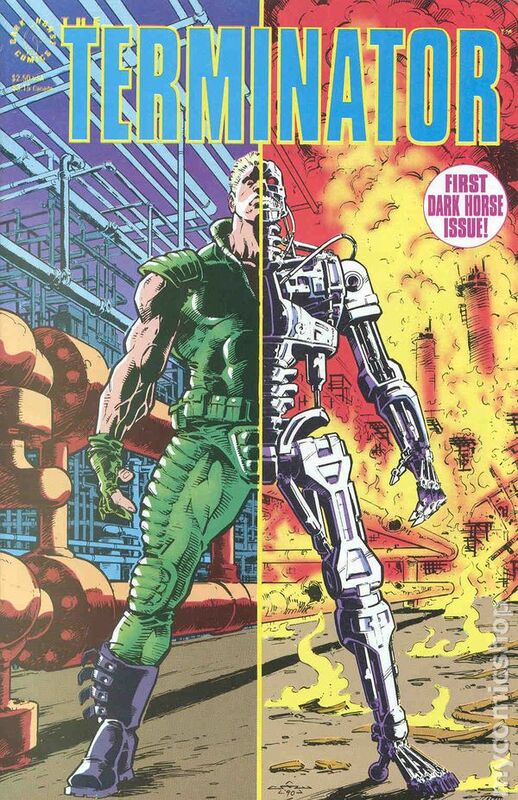 Terminator 2 turns 25 years old this summer so it's a good time to look back at one of the early Terminator comic books.